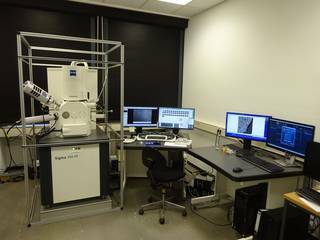 The Working Group on Micropalaeontology and Palaeoecology houses and operates a new Zeiss Sigma 300-VP scanning electron microscope for high-resolution micro-imaging. The SEM is also equipped with state-of-the-art EDX- and EBSD-detectors and fully automated element mapping used for mineralogical, crystallographic and petrological analyses. For inquiries please contact Hanna Cieszynski (hcieszyn(at)uni-koeln.de).